Our Sleep Consultants are here to provide you with emotional and educational support to help your baby or toddler with their sleep needs. Our philosophy is that there isn’t one program or method approach to sleep training. We don’t choose one over another. Our goal is to work with you and set up a Sleep Plan that you are comfortable with to help your baby or toddler become a GREAT sleeper. At four months old our son, Jaeson, would wake up almost every hour throughout the night, making everyone very tired and frustrated. This went on for about 2 months, until I reached out to Alyson for help. I cannot thank Alyson enough for her help. She is very knowledgeable and experienced in children's sleep. I am forever thankful that I reached out to her. I was truly "Sleepless in Miami". Alyson is a graduate of the Family Sleep Institute and is a Certified Infant and Child Sleep Consultant in Houston, Texas. Her passion for helping families develop healthy and sustainable sleep habits began after the birth of her first son, Benjamin. Not knowing where to turn for sleep advice, Alyson read books, scoured the internet and engaged with other moms many of whom echoed her desire for help with their children's sleep. Finding limited reliable resources, Alyson decided to pursue her career as a sleep consultant allowing her to combine her love of teaching and motherhood to help families across the country establish healthy sleep patterns. Using a child's biological sleep rhythms together with a consideration for the unique needs of every child and their family's lifestyle – Alyson creates customized, easy to follow sleep plans designed to help families become well rested. 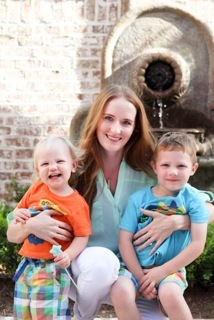 Alyson is a former first grade teacher and lives in Bellaire, TX, with her husband, David and her two sons, Benjamin and Asher. Sign up for our newsletter and get our Sleep Tips for FREE!